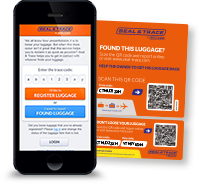 Every day, many pieces of baggage get sealed and carried around different airports all around the world. The shrink foil that we use for our sealings is printable. Imagine the exposure for your company advertisement if it would be printed on our sealing foil? 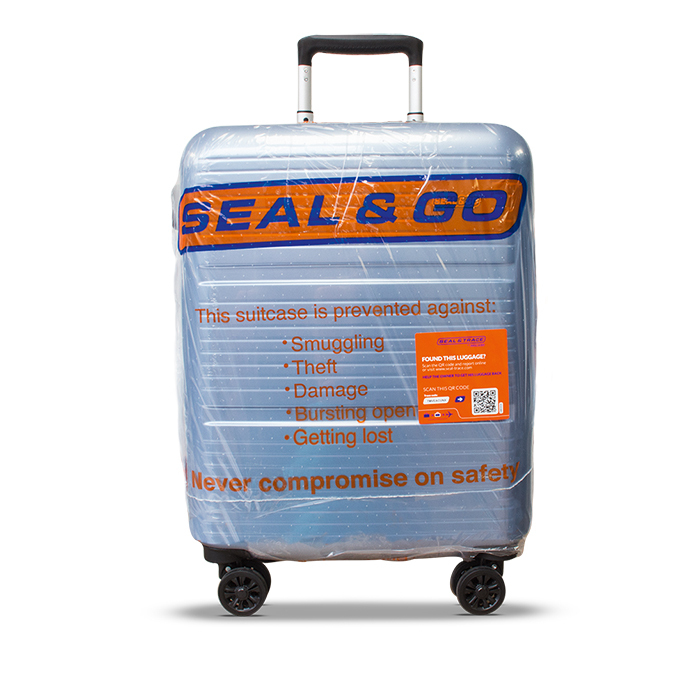 Seal & Go offers the opportunity to expose your company advertisement at all international Seal & Go locations at different airports in different continents or at just one specific Seal & Go location. You will also be able to choose your own design. Seal & Go is able to print one advertisement per 2,000 kilograms of foil. This kilogram amount is the minimum manufacturing order quantity for companies to print their logo on the shrink foil. The Seal & Go operational staff is able to execute 26,666 unique sealings with 2,000 kilogram of shrink foil. 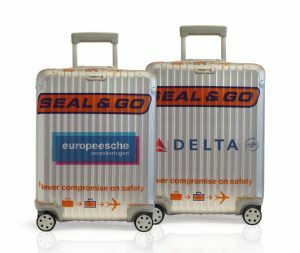 This means 26,666 suitcases (or other baggage items) can be printed and exposed with your company advertisement on it. Please contact us to discuss all possibilities.